There are some students who seem to have their life’s path all mapped out by grade 5. Then there are those students who have no idea where their path will take them at all. If you are one of these students, perhaps it is time that you thought about a career where you can do some good for others. Think of a career where you can help people and make a difference in their lives; consider a career in nursing! With the current nursing shortage, there are always empty jobs waiting to be filled in this exciting field. 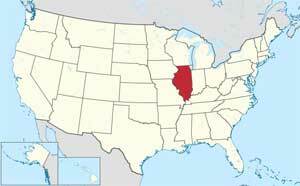 No time is better than now to look into nurse schools and nursing education in Illinois. If you are considering becoming either an LPN or RN, here is what you need to know regarding education and licensing requirements in Illinois. There are 89 accredited institutions throughout the state of Illinois that offer degree programs in nursing. If you would prefer to become a Licensed Practical Nurse (LPN), now is a great time in the state. A 10% per year increase in LPN jobs has been forecast for Illinois. The LPN program is one year in length and is offered at technical schools, community colleges and also private nursing schools. More and more the LPN is being recognized as having great adaptability and flexibility. If Registered Nurse (RN) is the path that you want to take, you may decide to take either the 2 year Associate Degree in Nursing (ADN), or you may pursue the more rigorous 4 year Bachelor of Science in Nursing (BSN). Either program choice will well prepare you for the challenges you will face as a nurse. Once you have graduated from your institute of choice, you must then apply to the Illinois State Board of Nursing for permission to write the NCLEX test. You must also apply for your temporary permit which will allow you to work as a Graduate Nurse (GN). After the BON has determined your eligibility for taking the NCLEX test, you will receive your ATT and your temporary permit in the mail. While you are working as a GN, you must remain under the constant supervision of a currently licensed RN. You are also not permitted to have any charge responsibilities. Once you have received your permanent license, you may work anywhere in the state that you choose, or wherever your exciting new career path will take you.